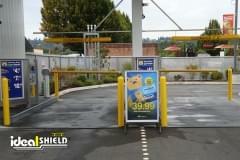 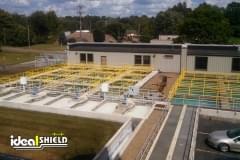 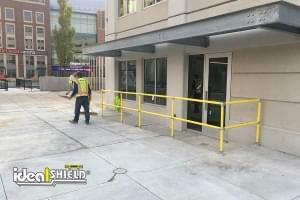 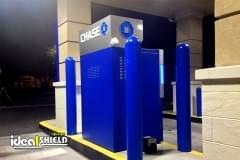 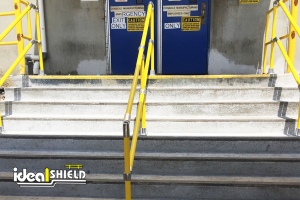 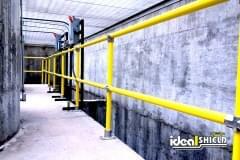 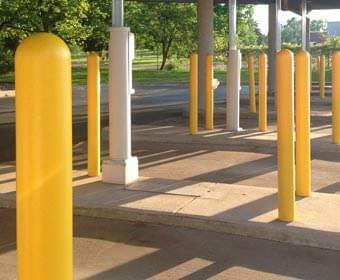 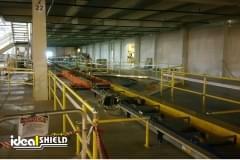 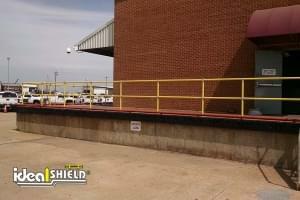 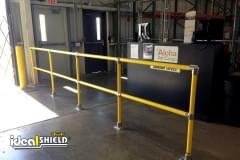 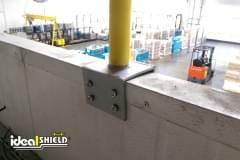 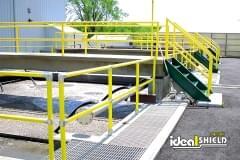 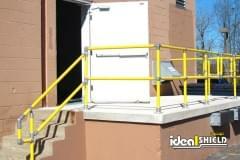 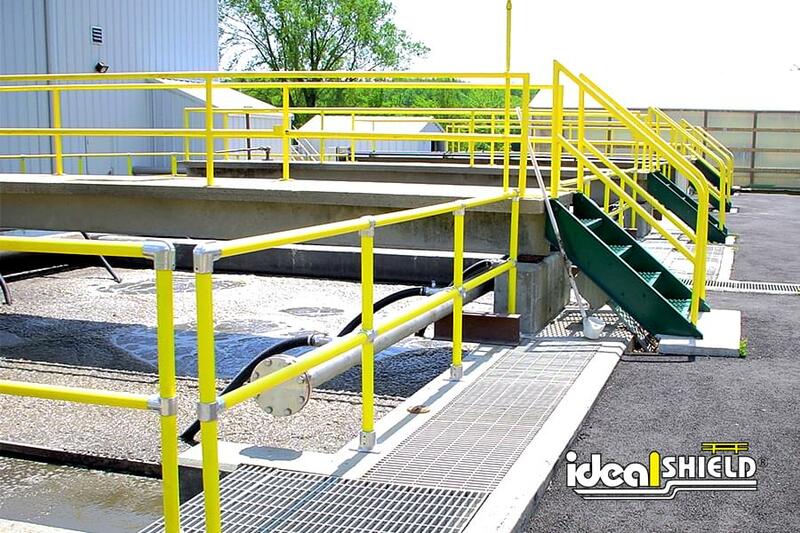 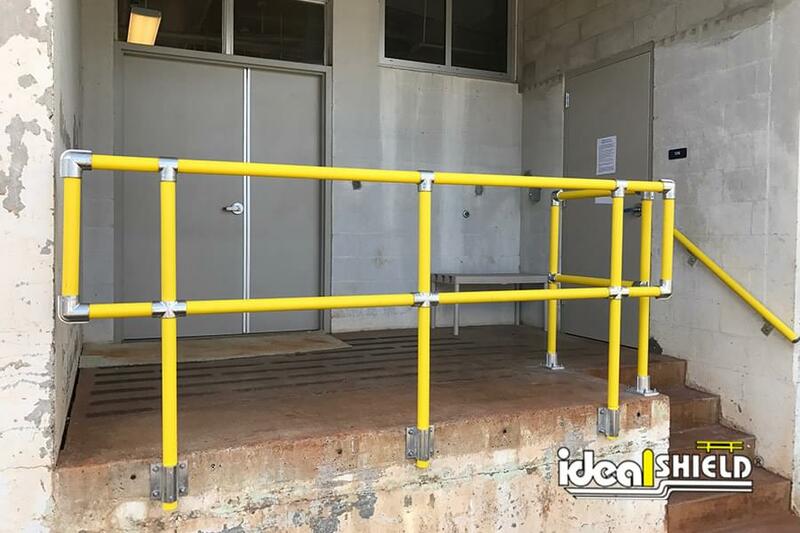 Ideal Shield’s unique Steel Pipe and Plastic Handrail System is manufactured with 1 1/4” schedule 40 and 80 steel sleeved in durable 1 1/2” HDPE plastic (1.9” OD) that is resistant to rusting, chipping and cracking. 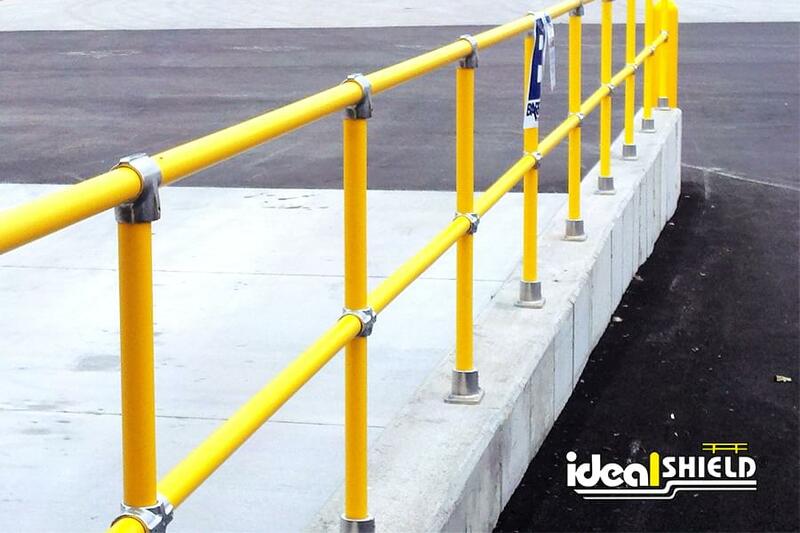 The system locks together with external aluminum magnesium Speed-Rail fittings with exclusive knurled 5/8’’ set screws, resulting in a quick and easy installation. 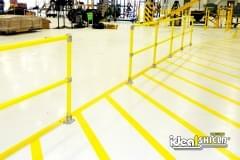 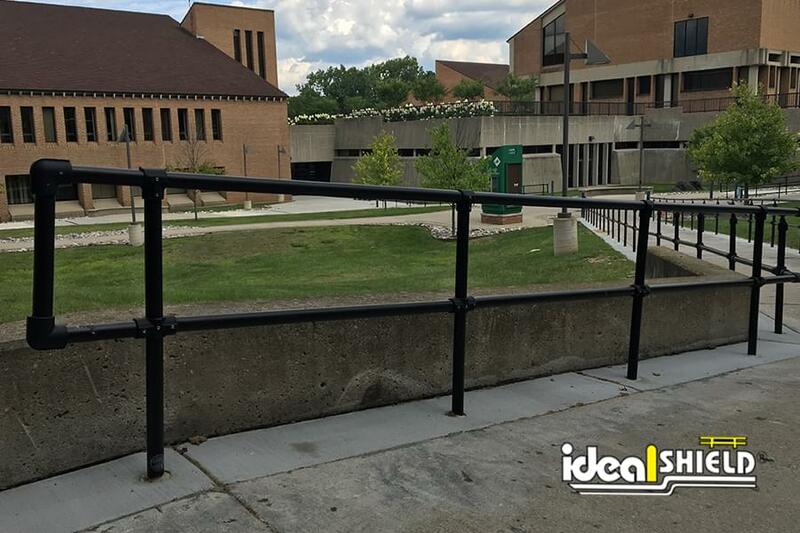 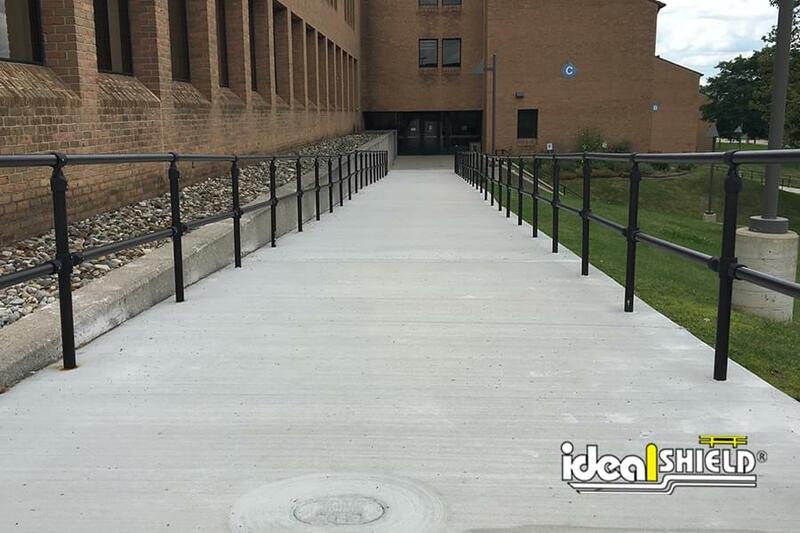 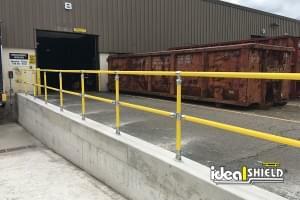 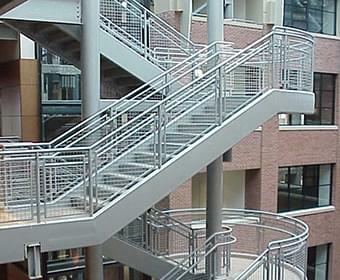 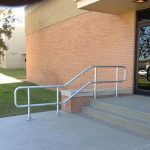 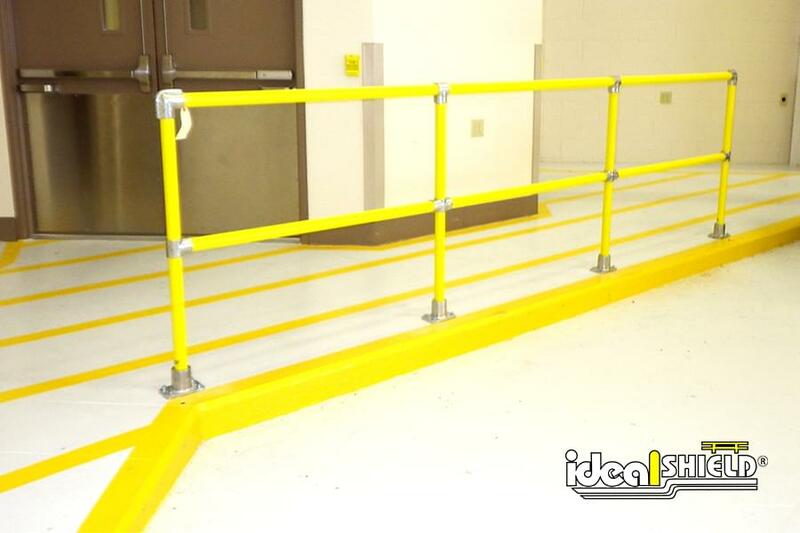 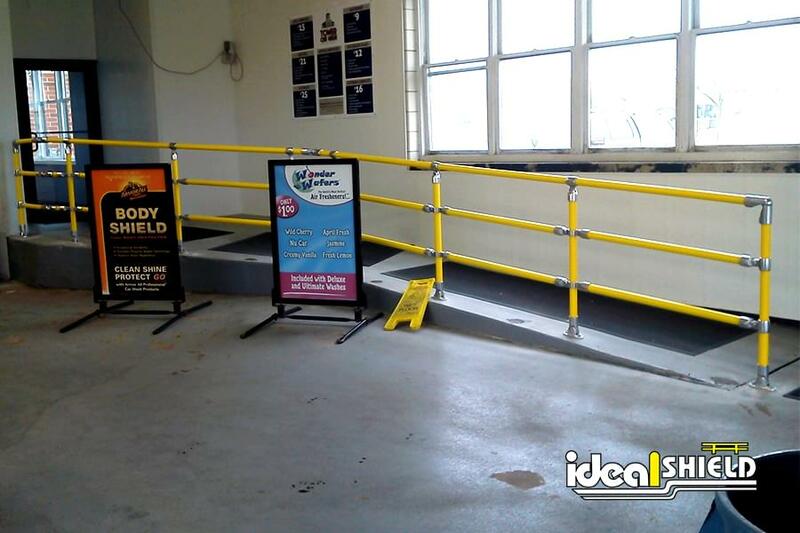 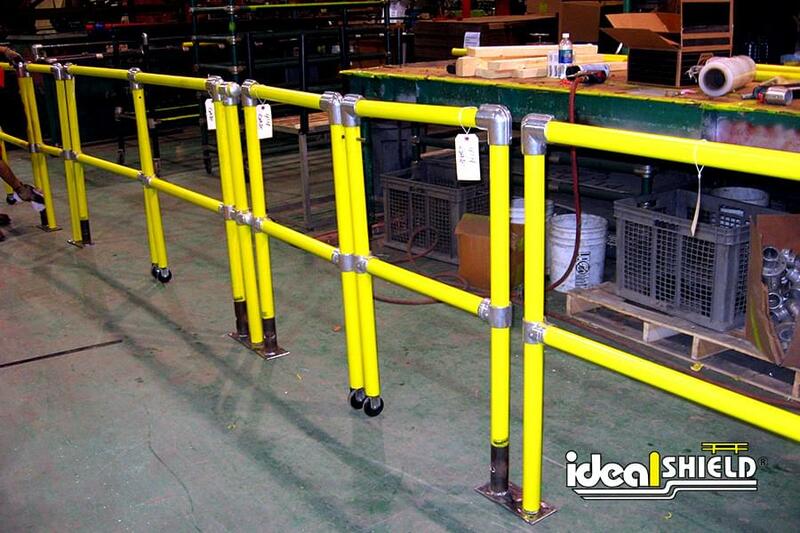 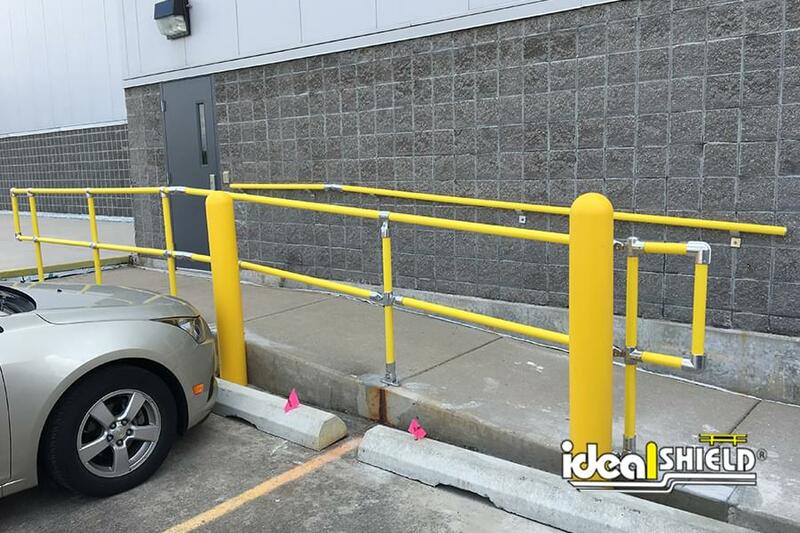 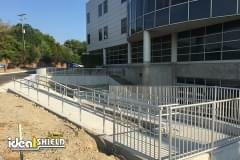 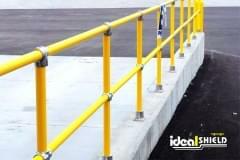 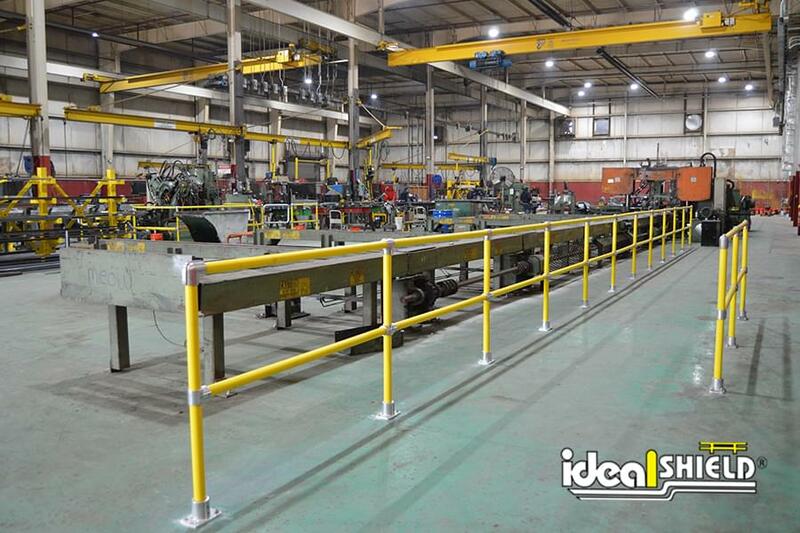 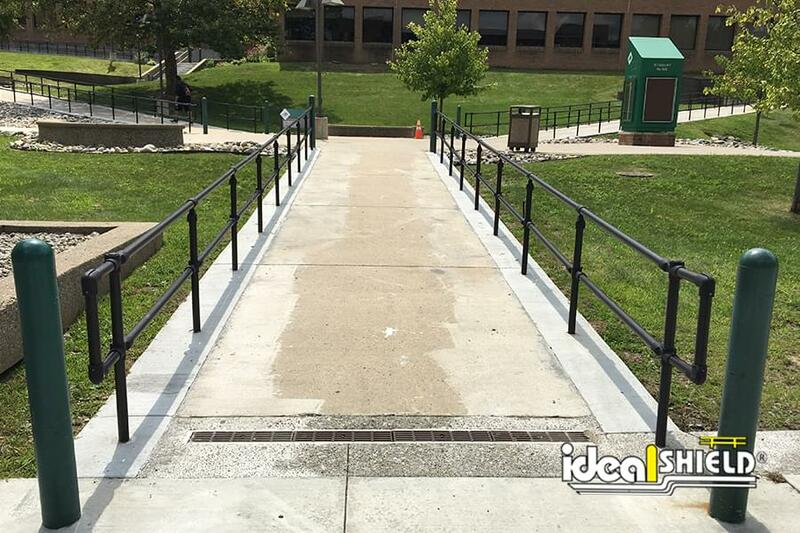 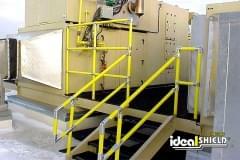 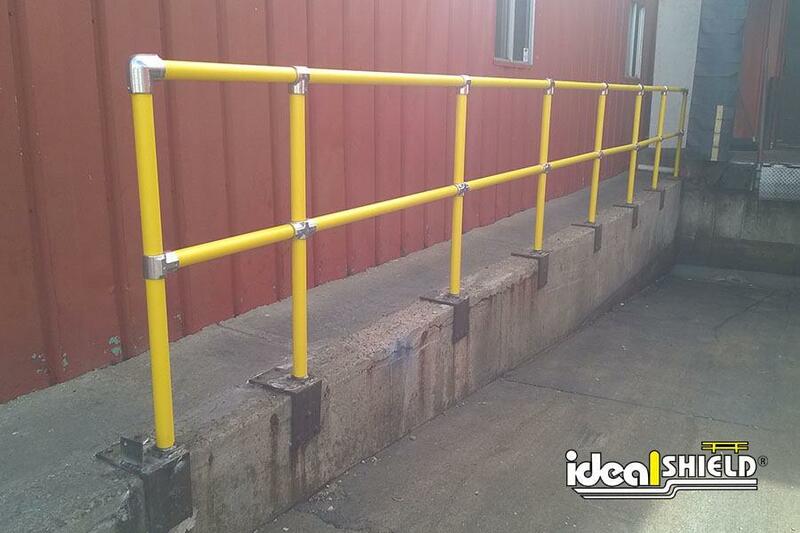 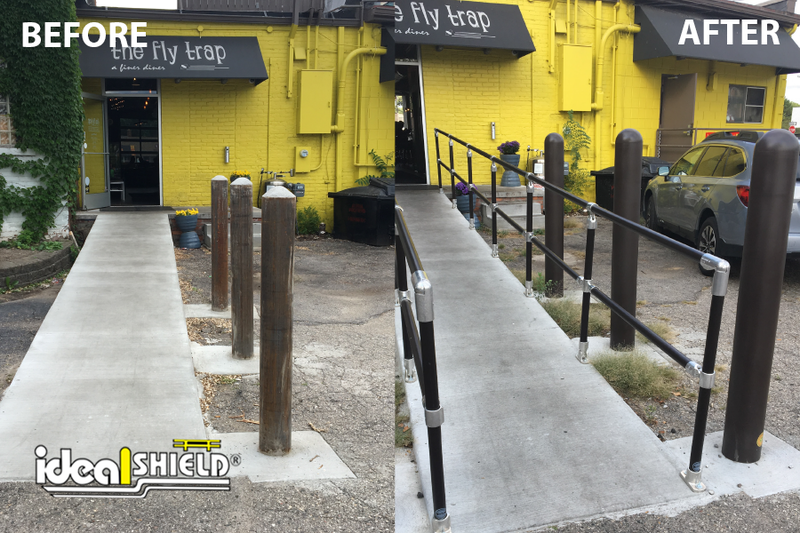 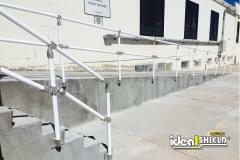 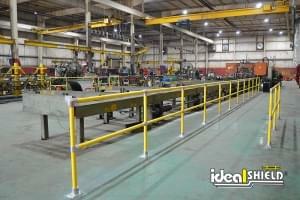 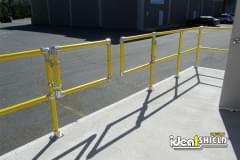 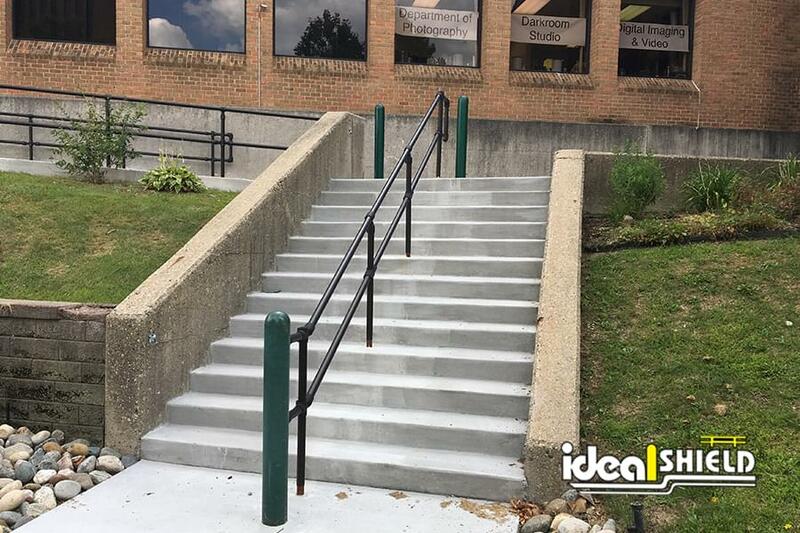 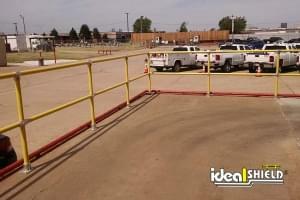 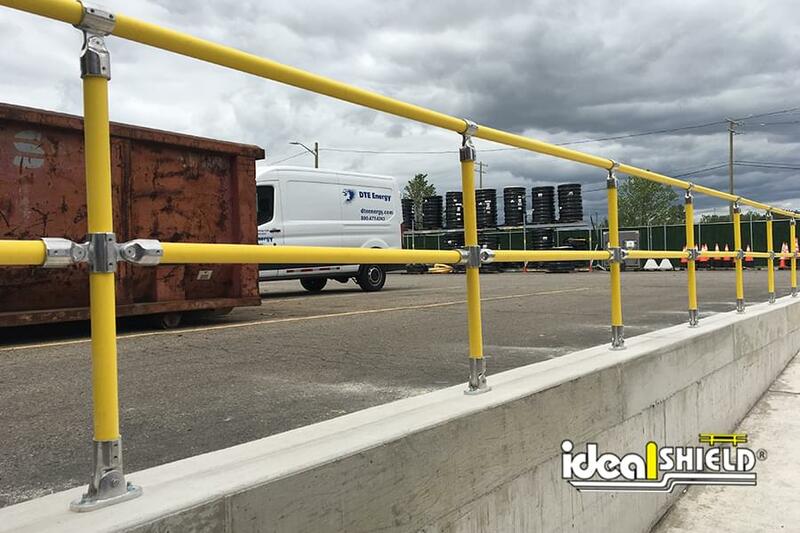 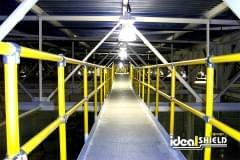 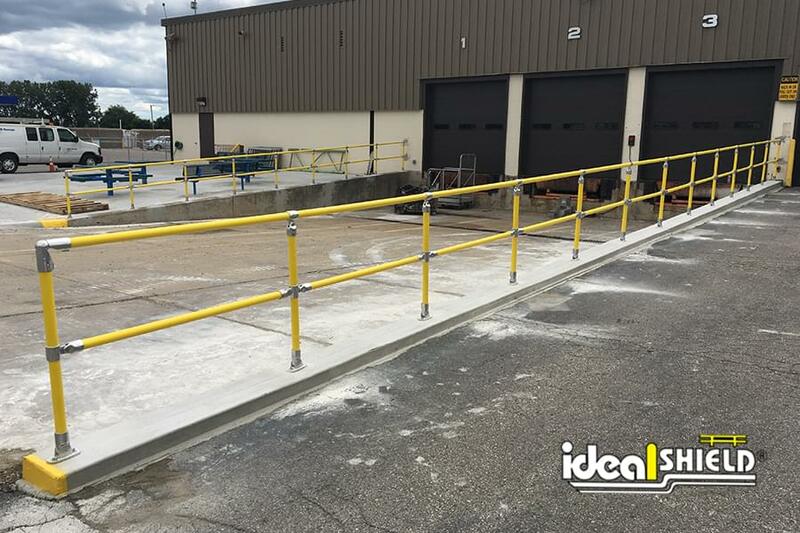 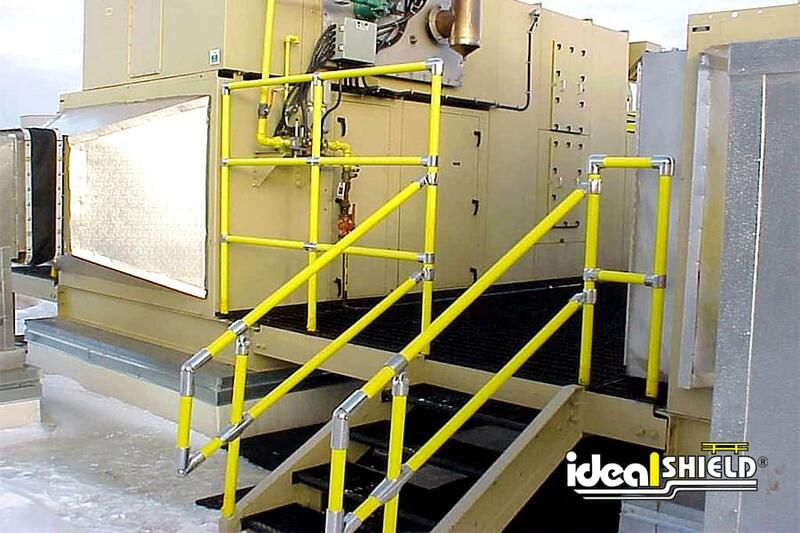 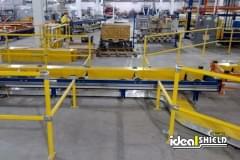 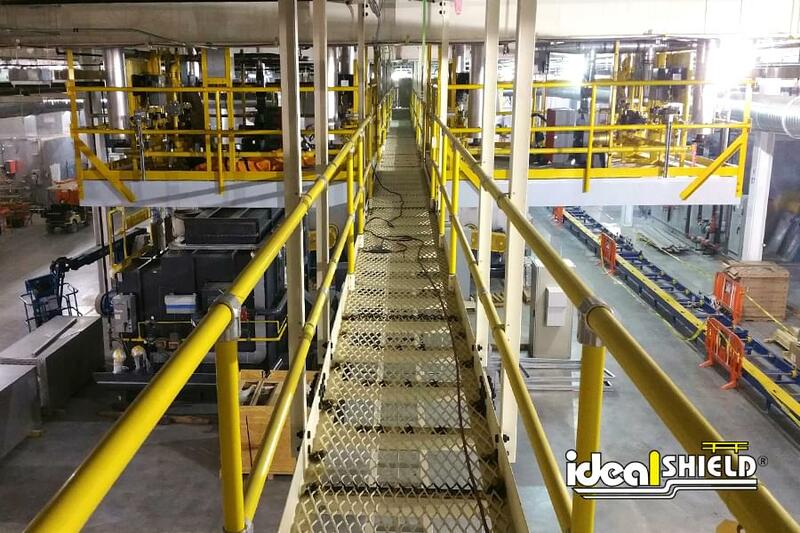 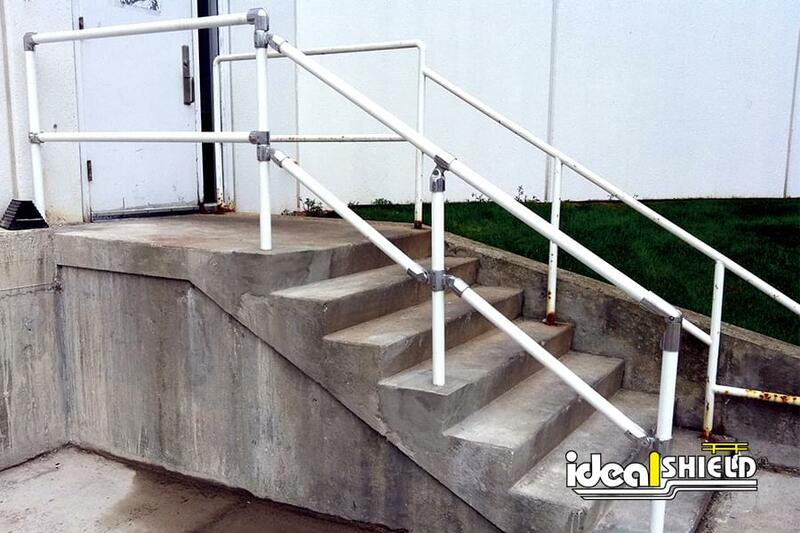 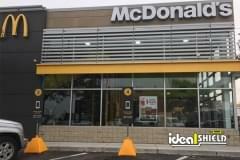 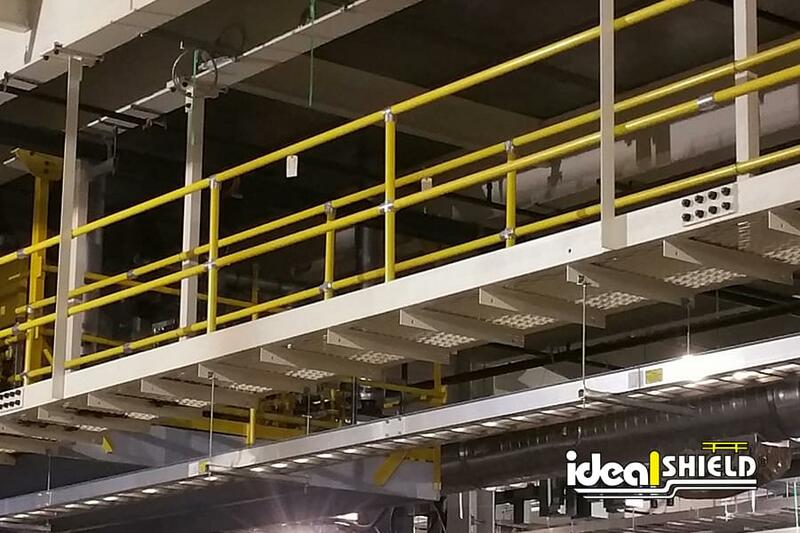 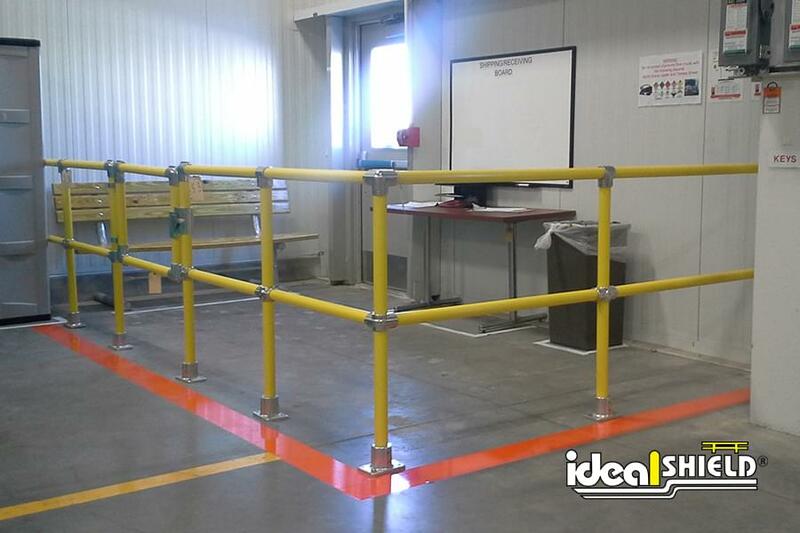 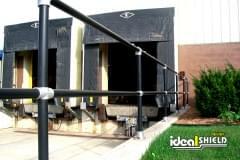 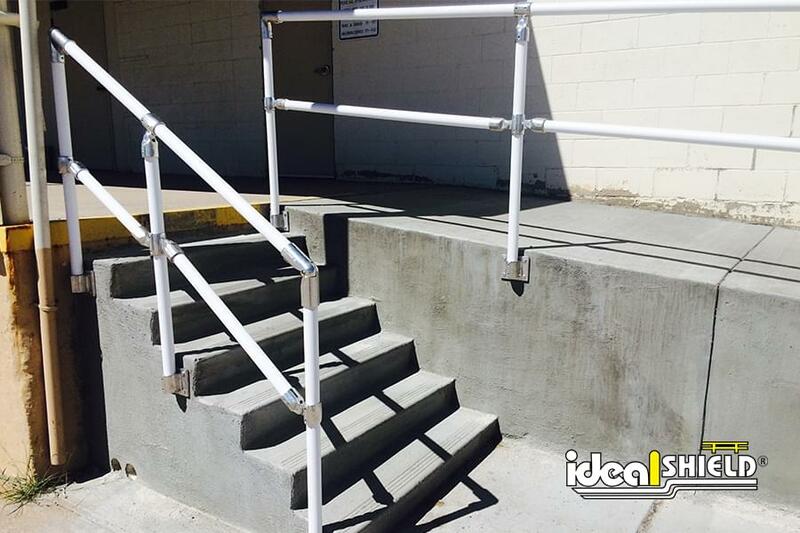 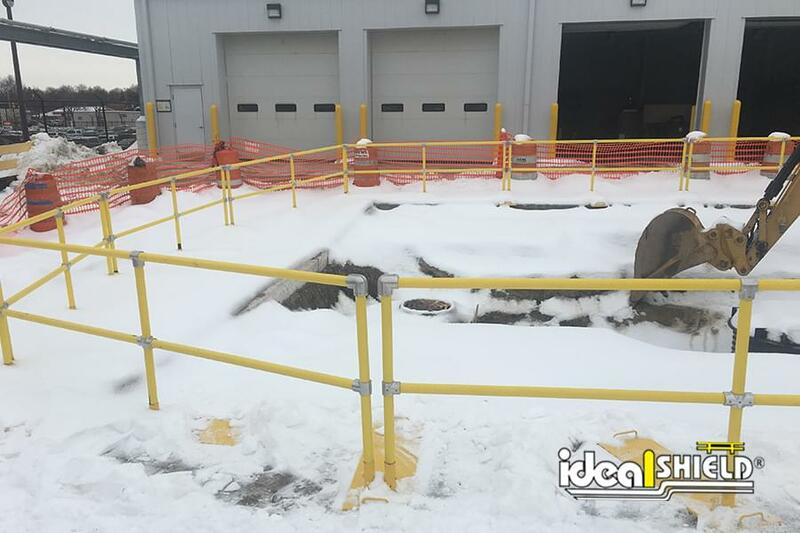 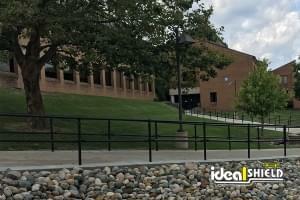 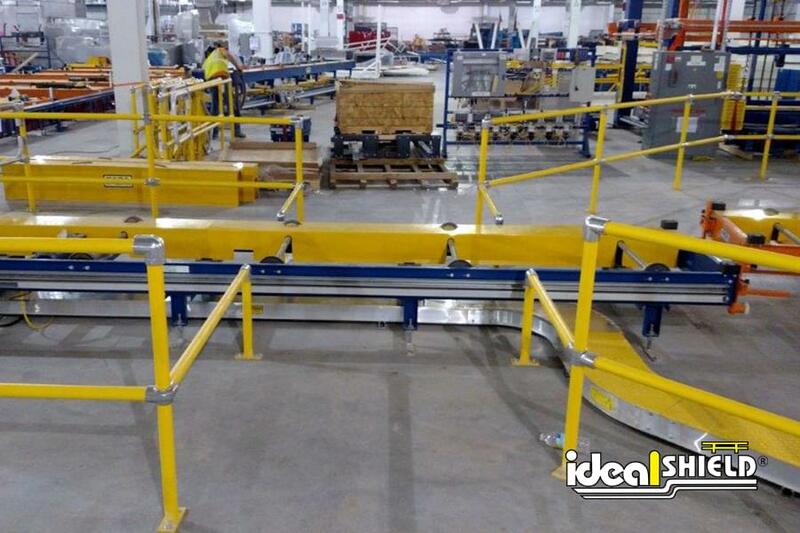 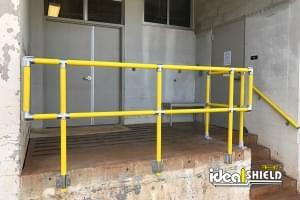 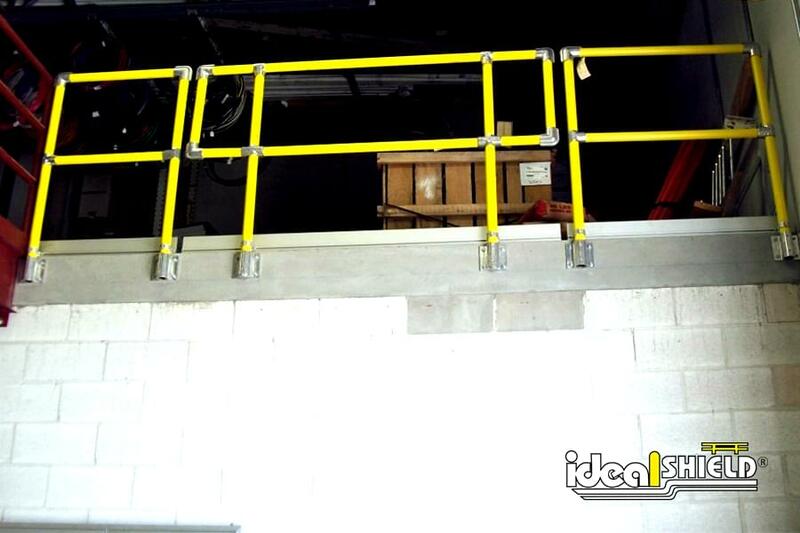 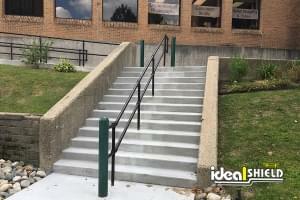 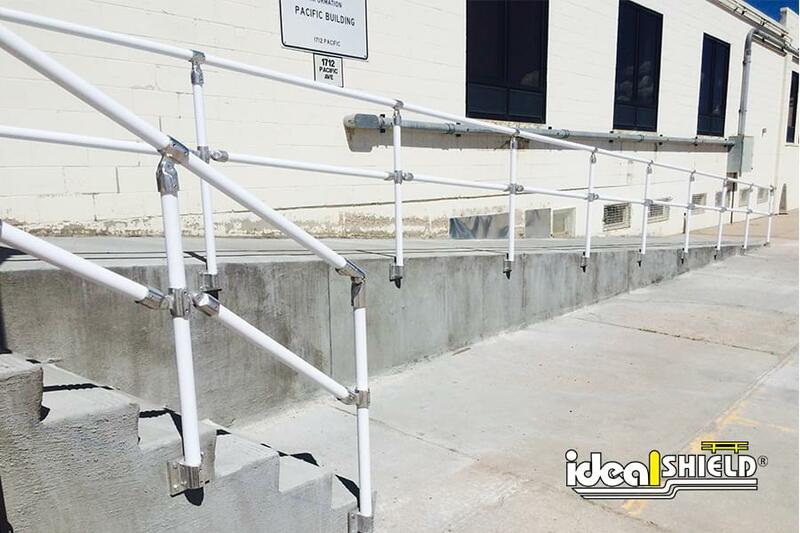 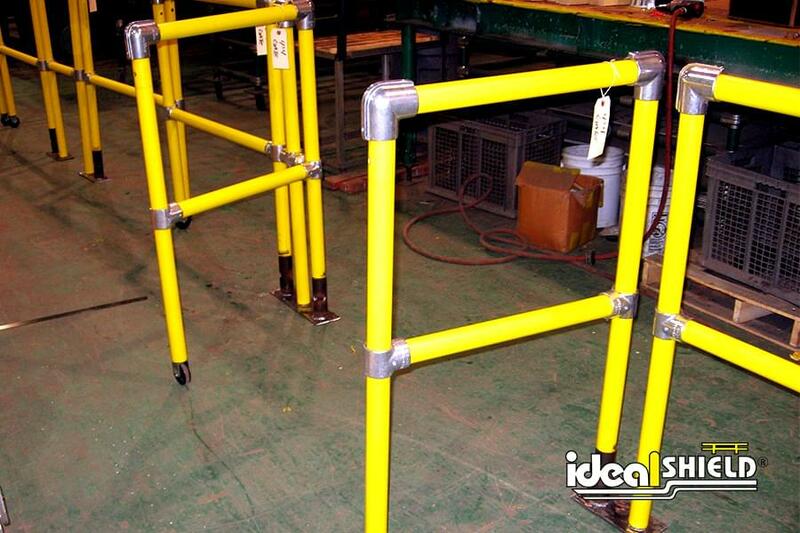 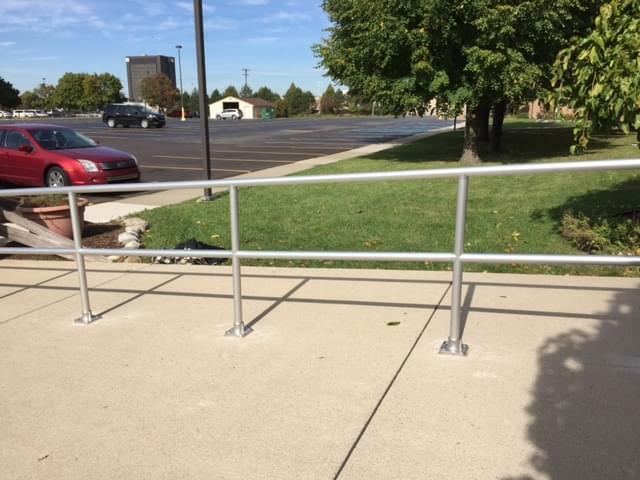 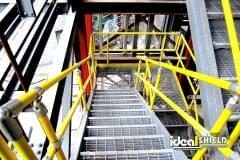 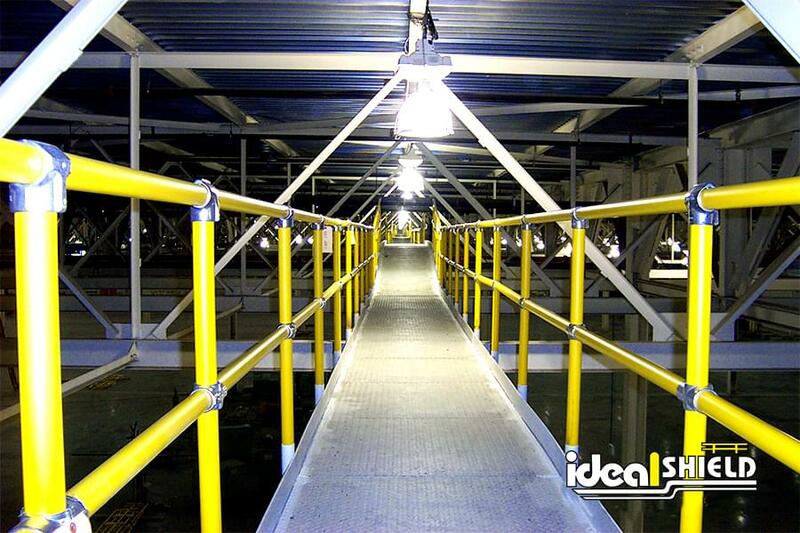 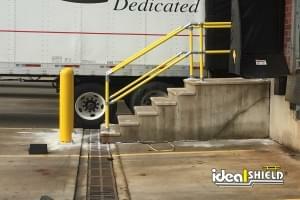 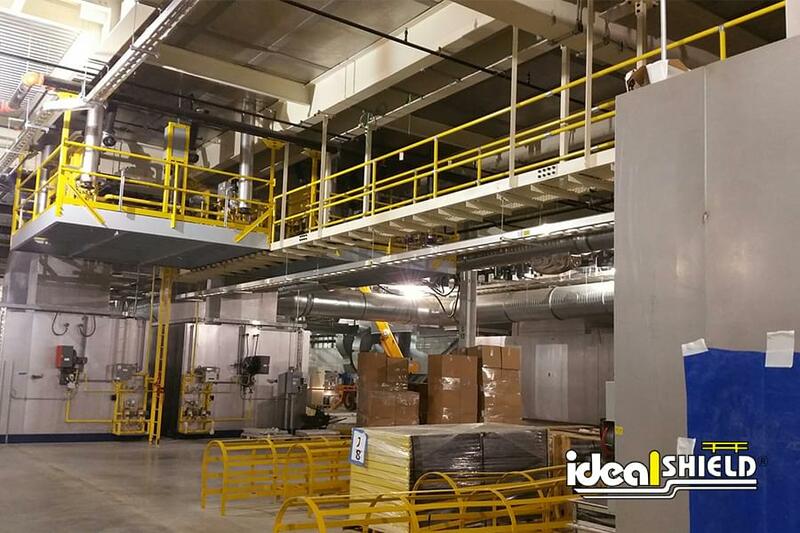 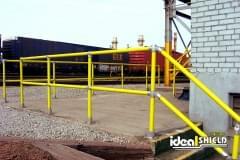 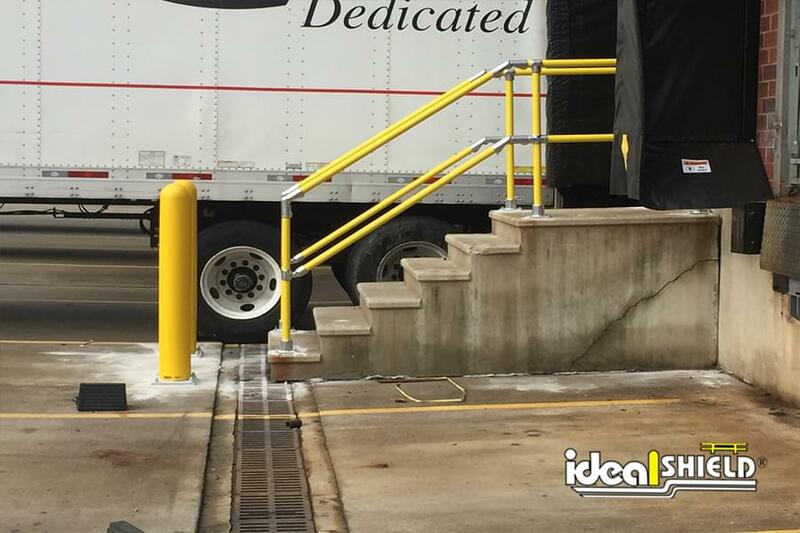 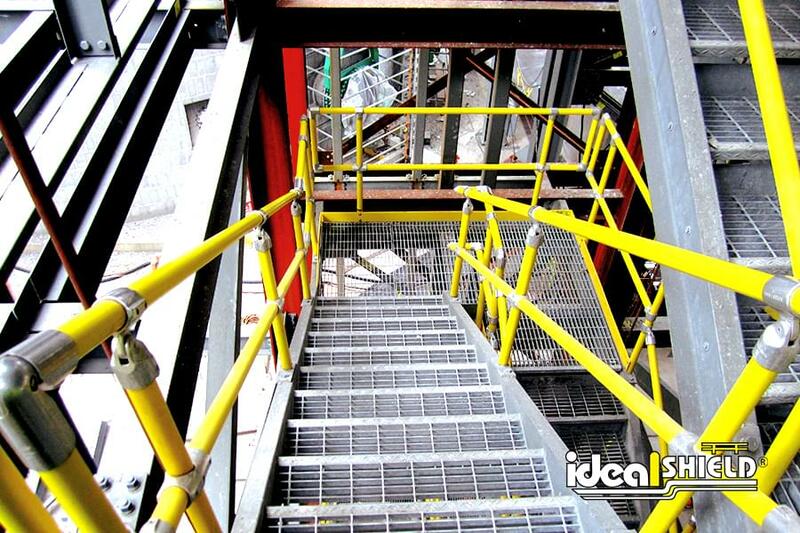 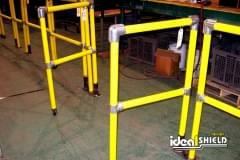 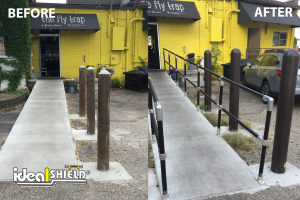 Unlike welded alternatives, Ideal’s modular handrail does not require on-site field welding and can be installed by non-specialized labor. 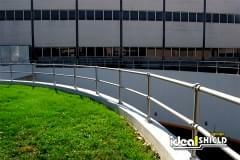 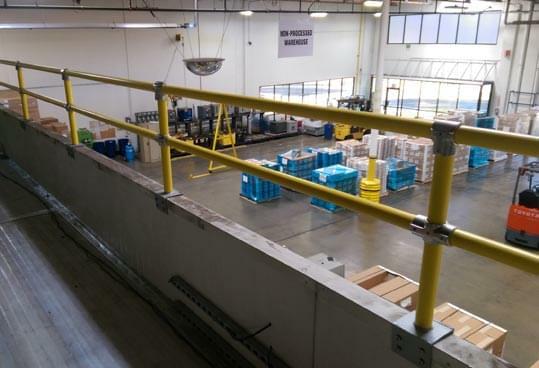 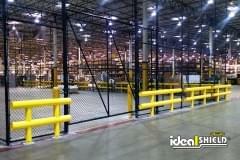 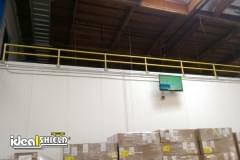 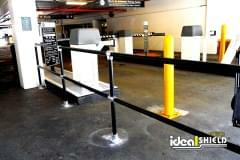 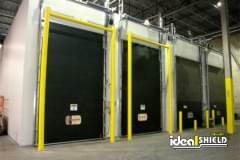 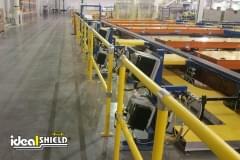 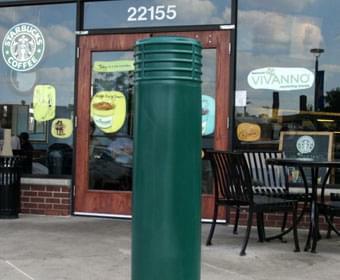 With over 125 fittings available, our railing is simple to reconfigure on-the-fly. 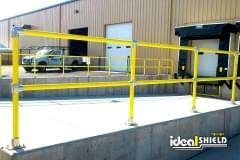 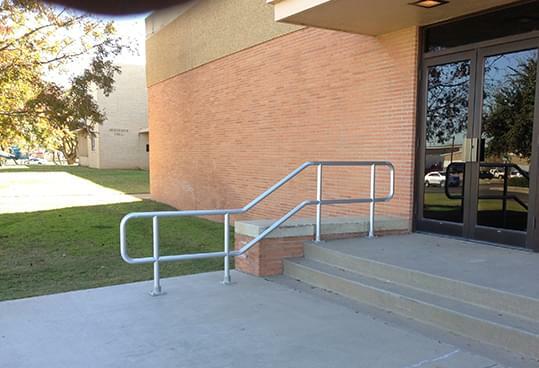 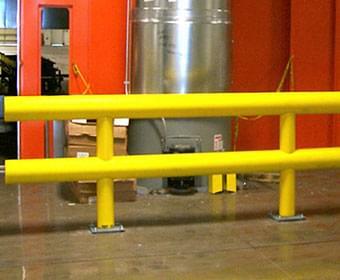 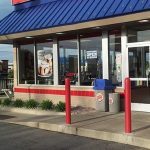 Offered in a variety of colors, Ideal’s OSHA-approved railing includes styles such as 2-line, 3-line, picket, and decorative infill panels. 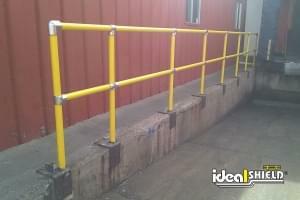 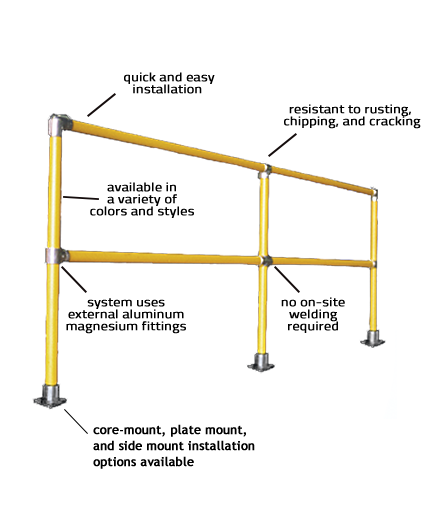 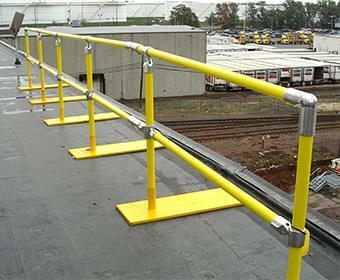 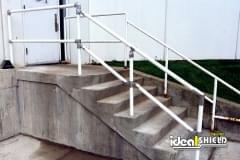 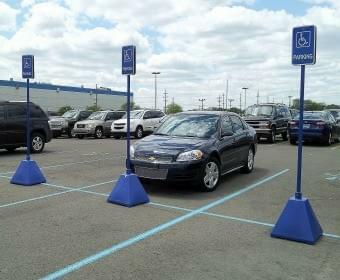 The handrail can be plate-mounted, core-mounted, side-mounted, or removable and has adjustable fittings to accommodate slopes and unique environments. 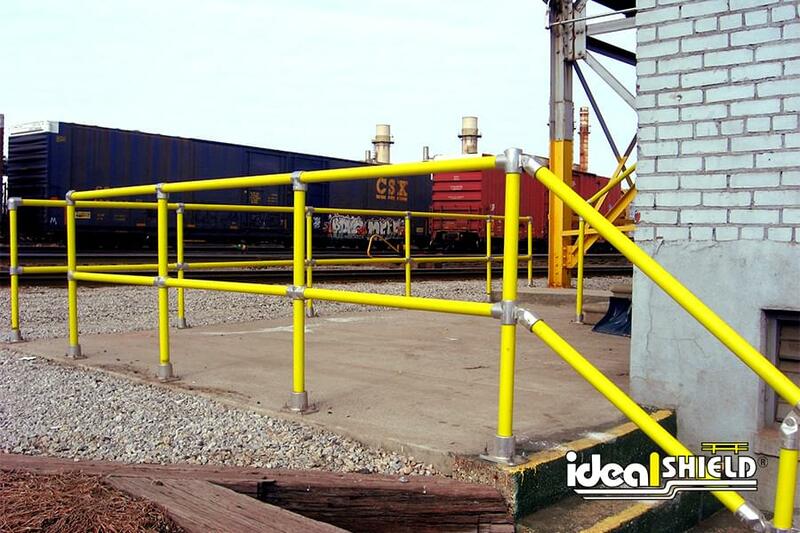 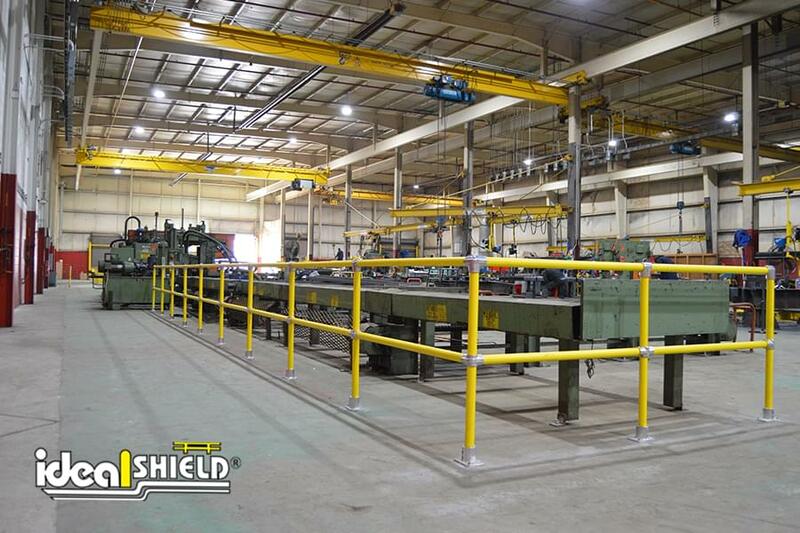 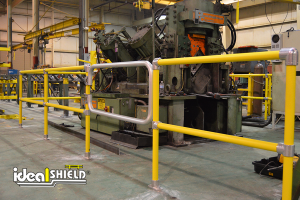 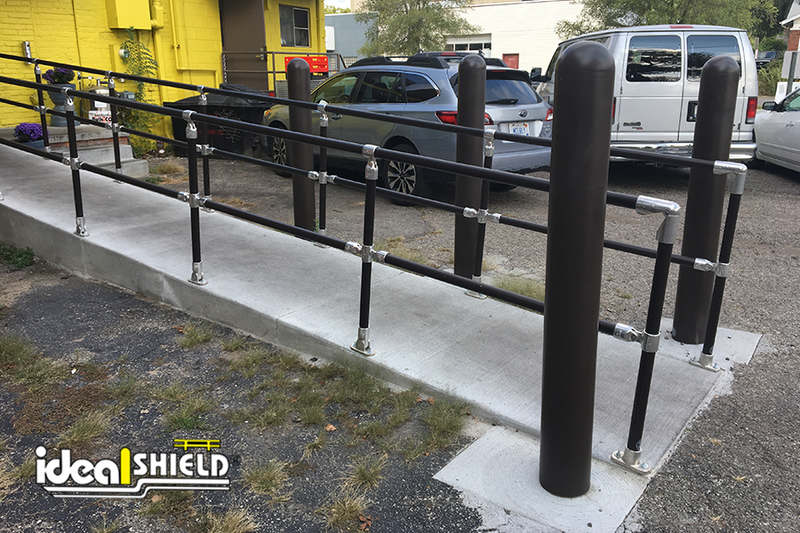 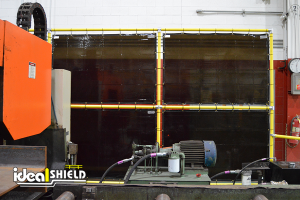 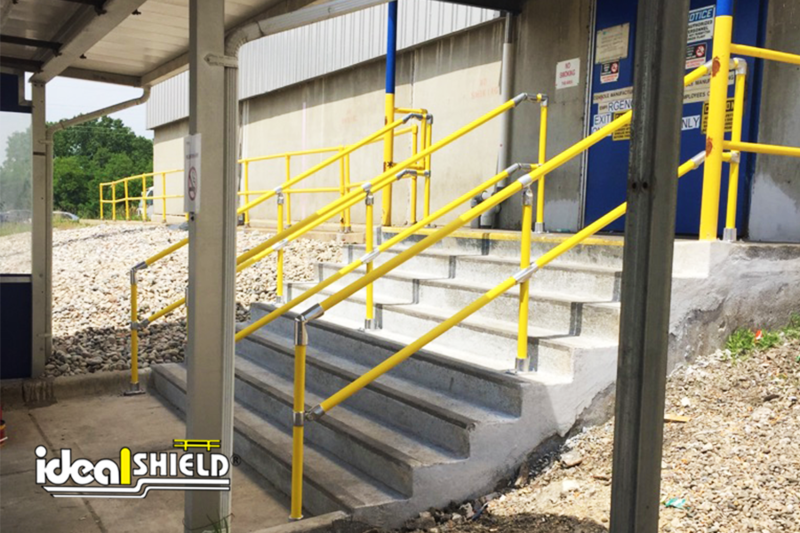 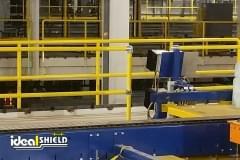 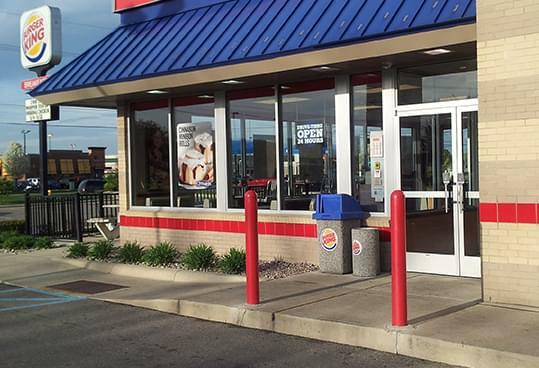 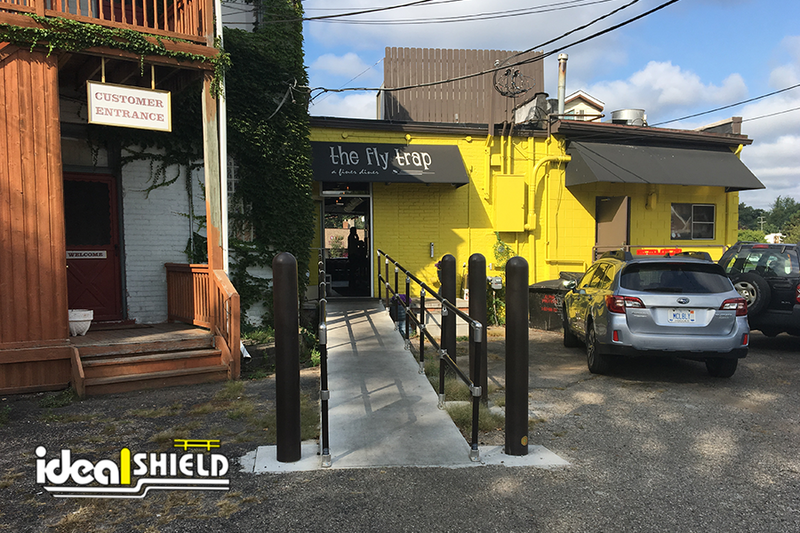 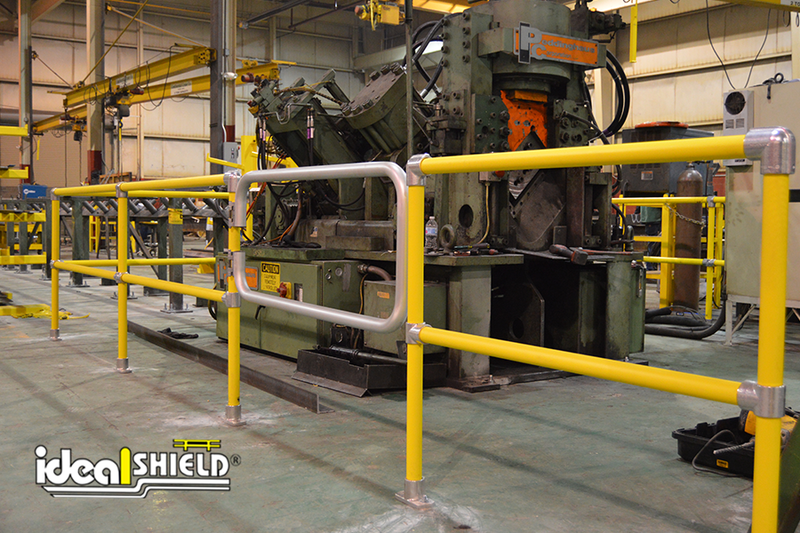 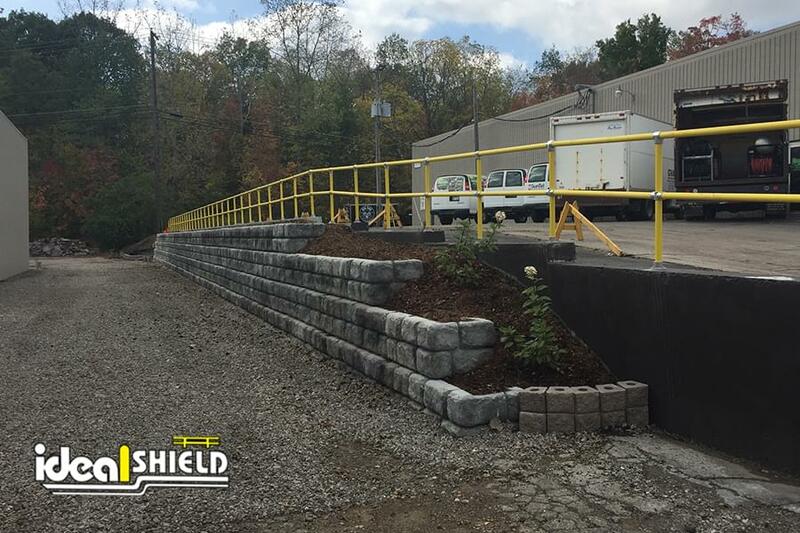 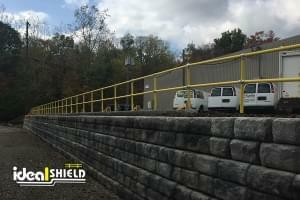 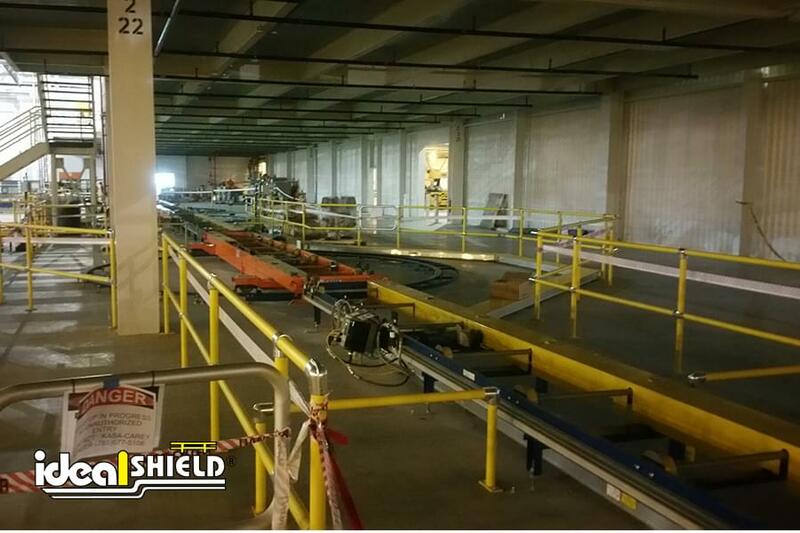 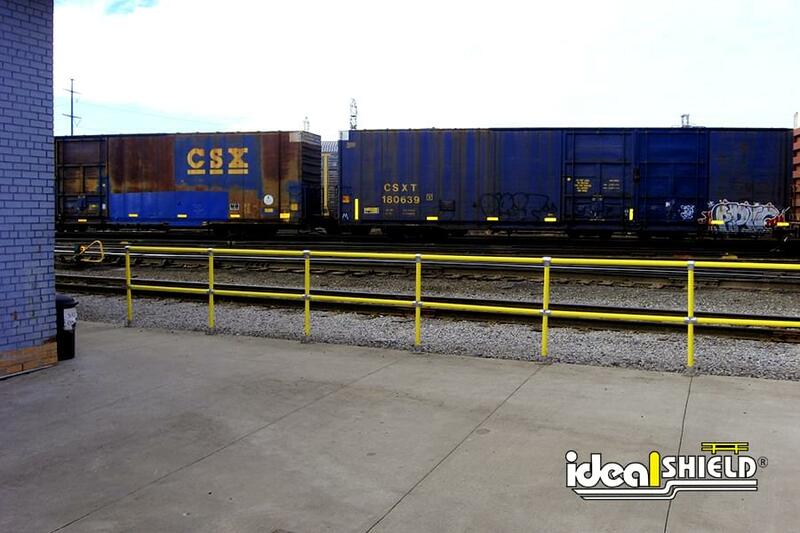 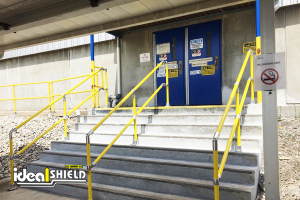 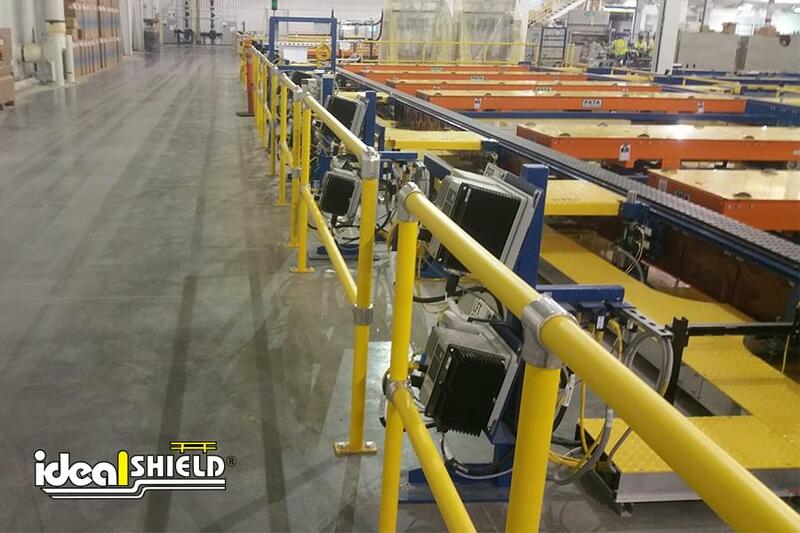 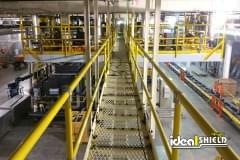 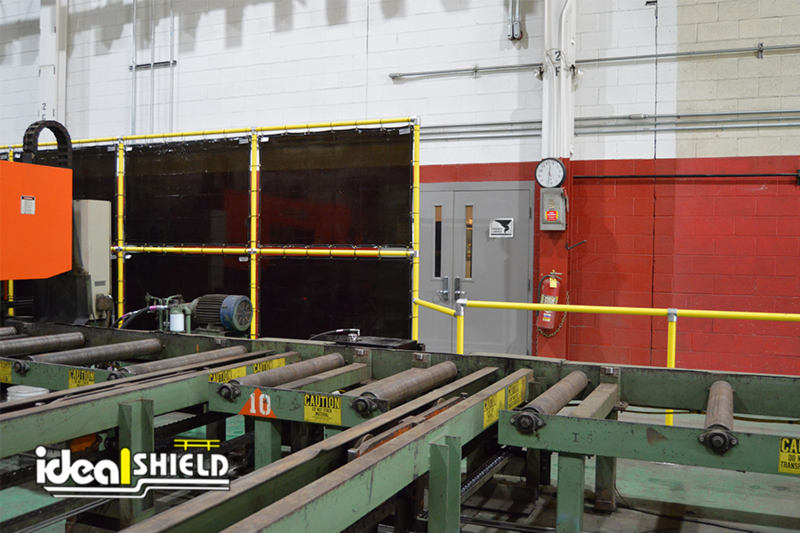 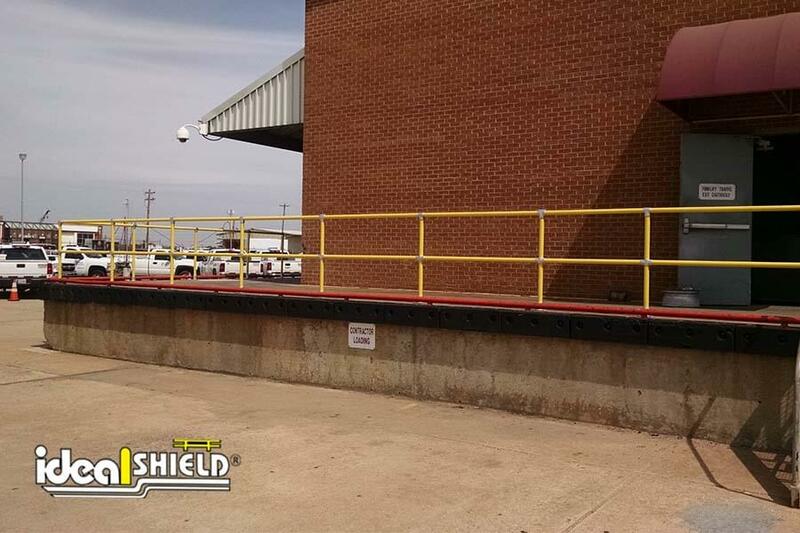 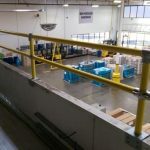 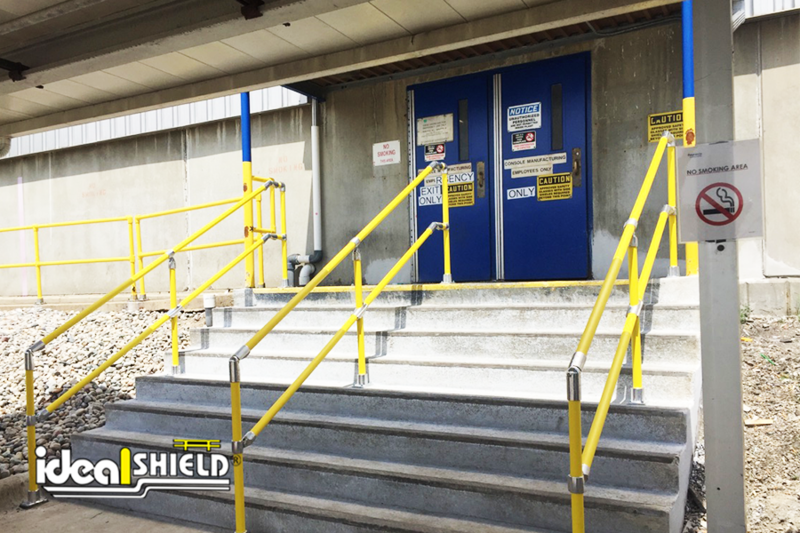 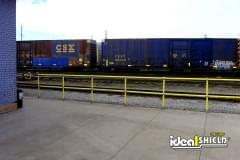 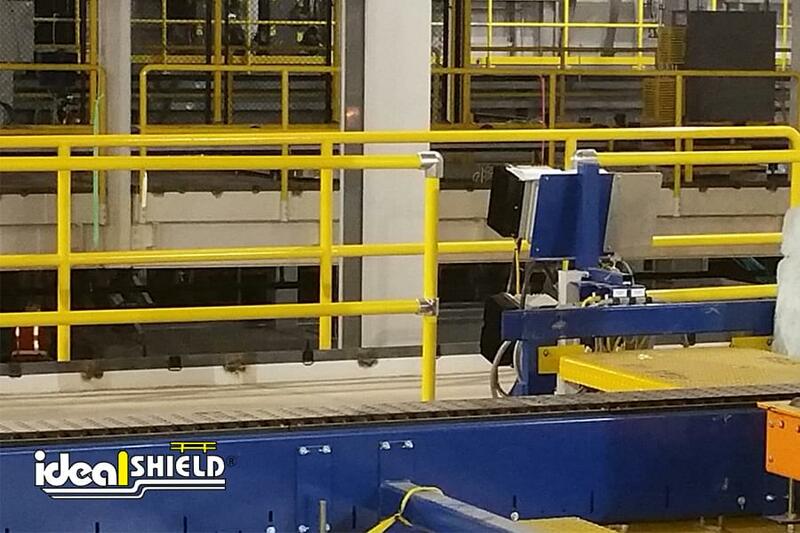 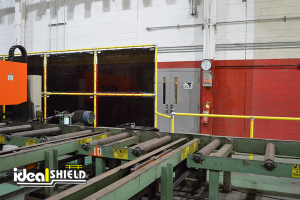 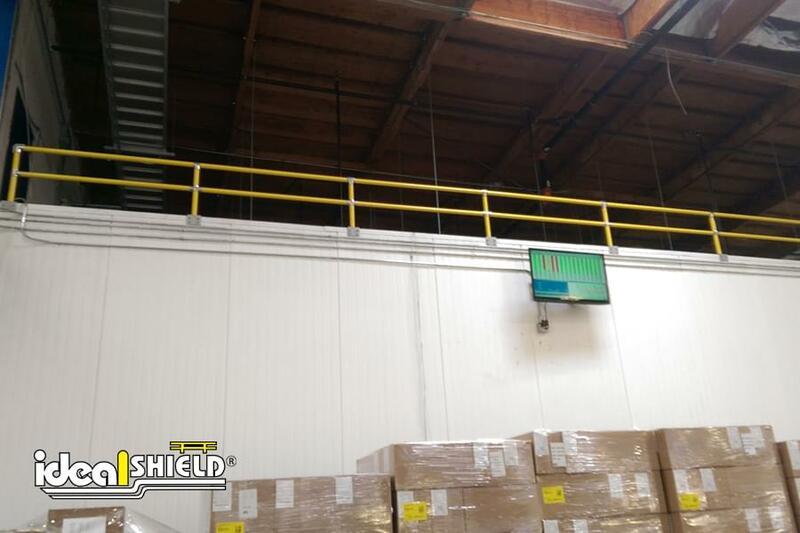 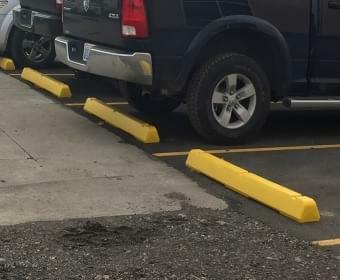 Manufactured in the USA, Ideal Shield’s railing system will not only significantly reduce installation costs but will also minimize long-term maintenance costs that can arise with traditional steel rail. 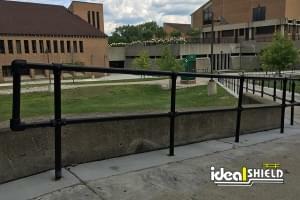 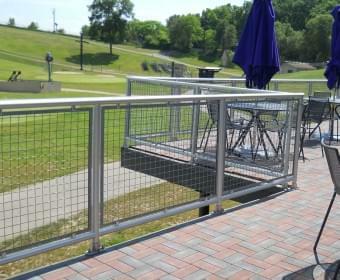 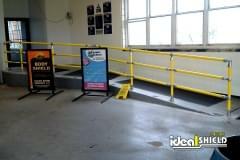 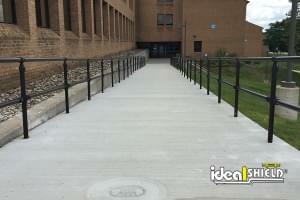 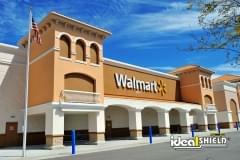 This simple, clean, and affordable railing system will look new for years to come. 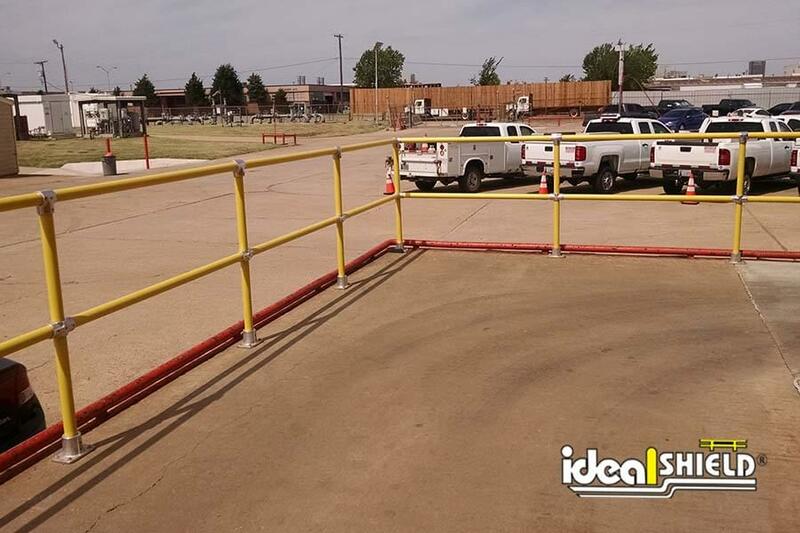 We now offer four different custom gate options, which can be found at the bottom of this page under Product Information > Specs, Drawings & Resources.